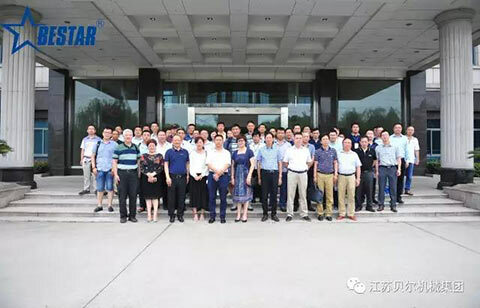 July 8th, 2017, as a part of ‘ blow molding 2017 conference’ program , all participants visited Jiangsu BEIER Machinery Group for its sub-brand BESTAR blow molding technology Co, Ltd.
We received our visitors by the highest standard. They were watching BESTAR promotional video first to get a big picture of BESTAR product ranges. then they walked into our show room and had further knowledge of our products and technology with the introduction of our instructors. 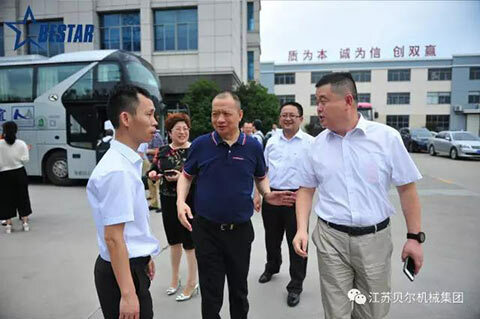 Next, they came to the workshop to see the management of production process of BESTAR. The leaders of Plastic Association praised BESTAR as ‘ a superb company with first-class management and technology’. 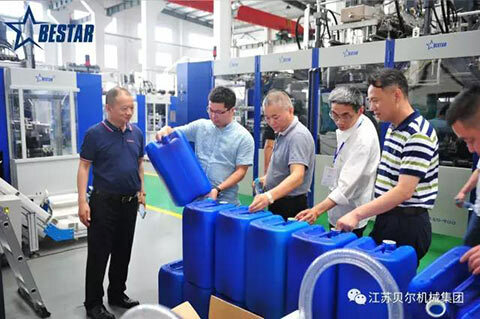 During the visit, BESTAR had a machine commissioning which model is B20D-750 (800/1000mm lubricants bottles). 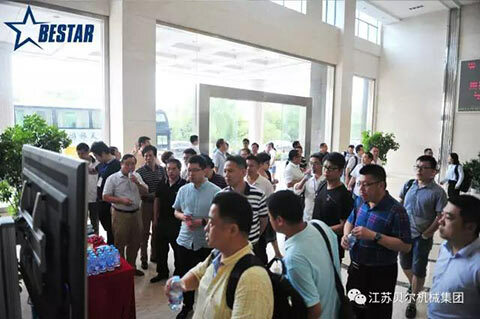 Visitors were all attracted by the test and highly recognized the technology of BESTAR. 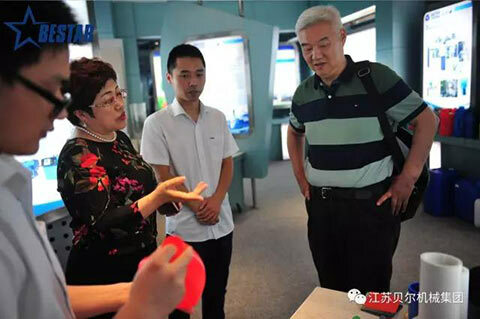 After the visit ,many of our visitors show great interests in cooperating with us. We welcome friends from all fields visit our company for potential cooperation. BESTAR Blow Molding Technology Co.,Ltd is a wholly owned subsidiary company of BEIER Machinery Group. 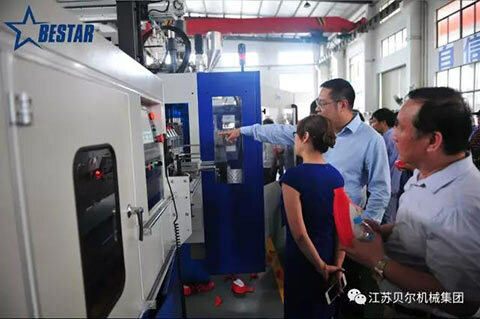 Combined with the essence of advanced Chinese and European blow molding techniques, our company is fully committed to the development and production of advanced blow molding machines. With its sophisticated technical design, supreme product quality control, sound after-sale service, BESTAR has taken a large share of both domestic and foreign market.